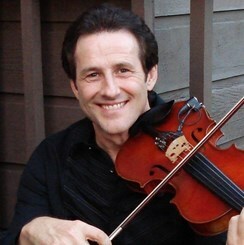 Stephan Dudash here, a Nashville based violin & viola instructor who is certified in 6 books of Suzuki Violin having taught at the Suzuki Institute of Dallas for 9 years. Also, I am an Interlochen Arts Academy Alumni. I have been an active performer all my life, having moved here in 1990 to work for the Gaylord Corp., performing in the Opryland theme park, the Grand Ol' Opry and the Ryman Auditorium. I have toured and shared the stage with many big name artists such as Shania Twain, George Jones, the Dave Brubeck family & played swing and gypsy jazz with Nashville's own, BadaBing BadaBoom and the John Jorgenson Quintet. I finished putting together my own CD/book package last year entitled, "The Art Of Swing Violin". Request Lessons with Stephan Dudash today!